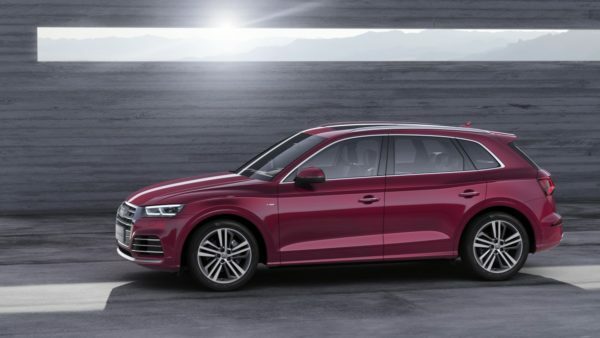 Audi has unveiled the new Q5L at the Beijing Motor Show. The motoring event will take place from April 25 to May 4. The long version of the SUV is aimed specifically at customers in China. It stretches 4.77 meters (15.6 ft) long and offers plenty of space for five people and loads of luggage. Buyers can choose between five equipment lines and two performance versions of the 2.0 TFSI – the quattro all-wheel drive system is standard. 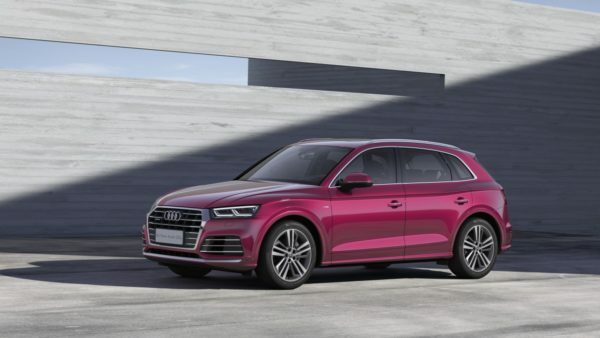 The Audi Q5L is the first SUV from the brand in a long version. Compared to its original base, its wheelbase and exterior length have each increased by 88 millimeters (3.5 in). This benefits passengers in the rear seat, who gain an additional 110 millimeters (4.3 in) of knee room. Depending on the position of the rear seat system, the volume of the luggage compartment remains unchanged at 550 to 1,550 liters. Buyers can choose between Vogue, Lifestyle, Design, Sport and Sport plus equipment lines, depending on the engine. These differ in many exterior and interior details. Even the Vogue base model of the Q5 L comes with convenient three-zone deluxe automatic air conditioning and the Audi smartphone interface on board. Starting with the Lifestyle model line, the high-end operating system MMI navigation plus and the fully digital Audi virtual cockpit are added. The Design, Sport and Sport plus lines also include the Bang & Olufsen Sound System with 3D sound. The Audi pre sense basic and Audi pre sense city safety systems come standard in all lines; in addition, there are assistance packages for the city and for suburban streets. Starting with the Lifestyle line, LED headlights are available as an option with the highly convenient Matrix LED technology. The panoramic glass roof is also standard. The drive system in the Audi Q5L is the four-cylinder Turbo 2.0 TFSI. It is available with 140 kW (190 hp) or with 185 kW (252 hp). It accelerates the SUV from zero to 100 km/h (0 – 62.1 mph) in 8.6 or 6.7 seconds, respectively. A standard seven-speed S tronic transfers the power to the quattro with ultra-technology. In the Audi drive select, the driver can choose between the comfort, auto, dynamic, efficiency and individual driving profiles. Wheel formats range from 18 to 20 inches in diameter.